As this setup includes a number of pieces, I will review each piece individually and conclude with my thoughts on the setup as a whole. Before we dive in, I’d like to point out something that impressed me from the very beginning: QUALITY. The packaging is really well designed, the stitching and construction looks exceptional, and the materials are top-notch. 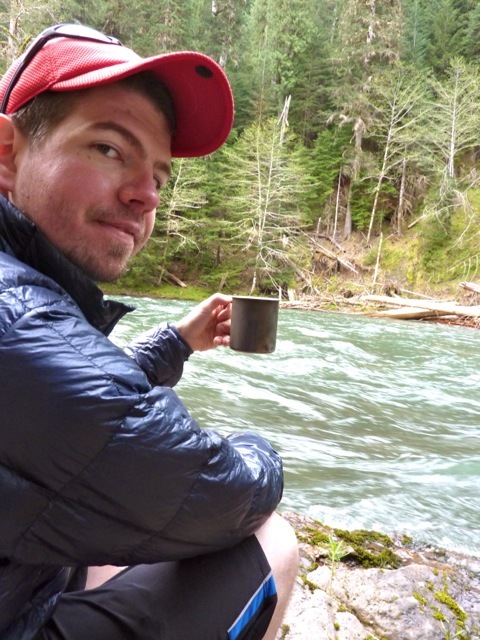 I’ve purchased and tested many pieces of gear from most of the cottage backpacking manufacturers, and JRB stands out as the most professionally-packaged, detail-oriented manufacturer from whom I’ve bought equipment. 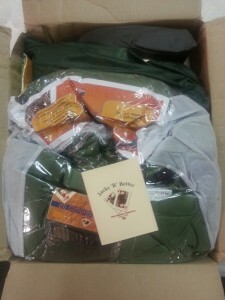 The Jacks love what they do, and it shows in the quality of their products. This tarp is ENORMOUS. The coverage is incredible and I’d be surprised if I couldn’t fit at least a pair of hammocks under it in light rain. Construction is, like everything else I received from JRB, fantastic. The tarp arrived seam-sealed (which I definitely appreciate) and stood up well to the light rain I experienced in the Mt. Jefferson Wilderness and the dreary drenching I received on the Olympic Peninsula in Washington without any spray-through or leaks. The self-tensioning guylines kept the tarp taut throughout each night of use and were very easy to use. The self-tensioning guylines are a very bright yellow nylon cord with a stretchy rubber tube that functions as the tensioning mechanism. It’s an effective design and looks very well constructed. Each guyline is 9’ long and attaches to the tieout points with a simple larkshead and can be removed and replaced easily. 21 tieouts make a number of pitches possible. I’ve only used the tarp in the typical A-frame configuration, but would like to spend some time experimenting with additional pitches – particularly for using the tarp while camping on the ground. Occasionally my partner will join me for backpacking trips and she does not sleep well in a hammock. We’ve used my Hammock Gear Cuben Fiber tarp on the ground, but it was a bit of a tight squeeze and might be uncomfortable in the deep winter when we would spend more time under the shelter. 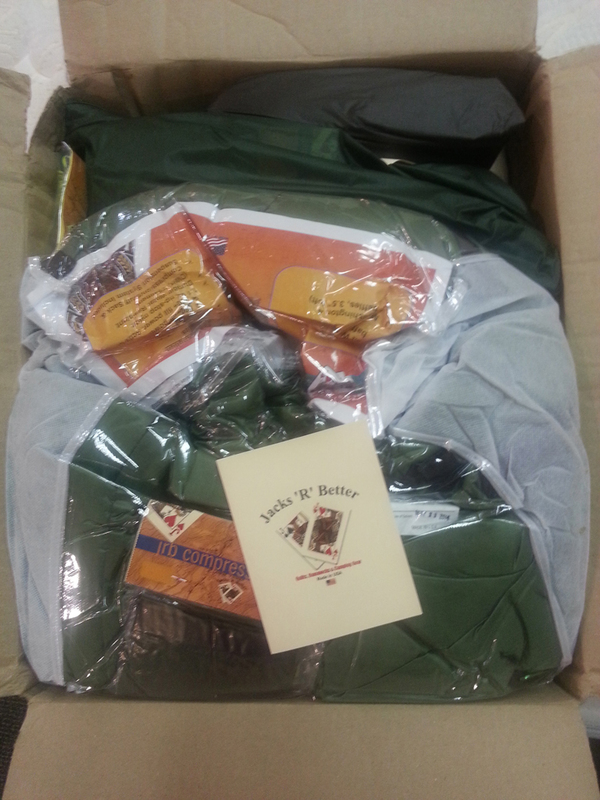 I’m looking forward to testing this tarp on the ground due to its size and coverage! 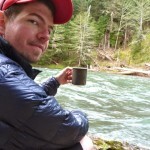 I did struggle finding a place to pitch the tarp in the Olympic National Park. The size of the tarp makes site selection a bit more tedious than other tarps, but I made it work. This is a tradeoff for coverage, but a minor complaint from a hiker who typically covers many miles in a day and pitches camp in the dark. Another tradeoff is, of course, weight. 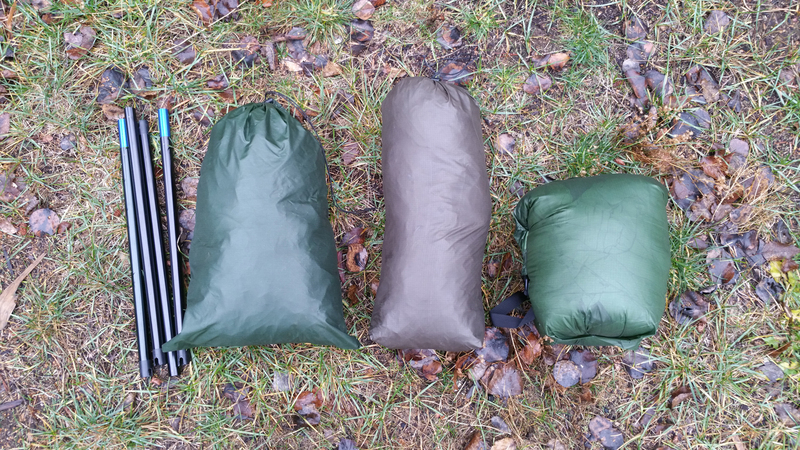 Silnylon is lightweight, but such a large tarp requires a great deal of material. The number of tieouts certainly adds to the weight, but is a worthwhile tradeoff for someone who would use all of the available pitch options. The tarp is heavier than I’d like, and much larger than I have found necessary for solo use. Since I haven’t tested it as a ground shelter or two-person shelter, I can’t speak to the tarp’s capabilities in those areas, but I look forward to finding out how well it performs. 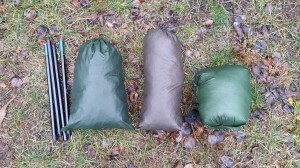 Ultimately, it works well, but I’d like to see JRB offer a cuben fiber version of the tarp for ultralight users. I’m sure the quality of construction would translate well to the material and JRB’s reputation for exceptional gear would inspire confidence in customers. This is one COZY quilt. 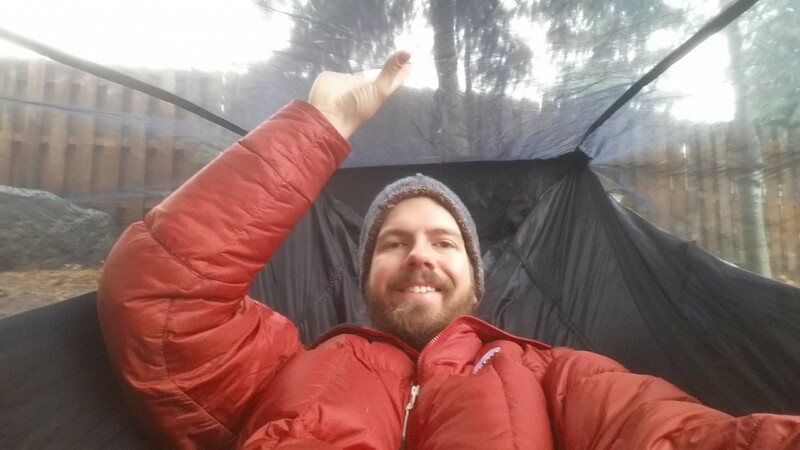 I’ve tested it in temperatures down to the low twenties (Fahrenheit) in conjunction with my 20° Hammock Gear Burrow top-quilt and have never had any issues with cold spots or the quilt slipping from the hammock. The suspension for the underquilt is incredibly well done. The Jacks put a lot of effort into this and it clearly shows. The quilt stays put and is very easy to attach to the shock-cord suspension. 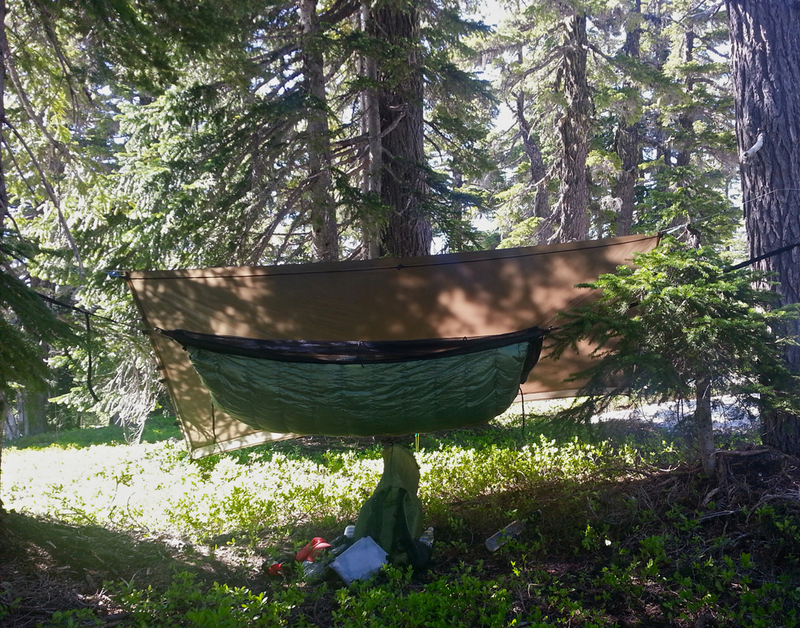 I keep the underquilt attached to the hammock while it is stored in my backpack. I’m not sure this is recommended by JRB, but it works perfectly well for me. The underquilt weighs 25.5oz on my scale, and a bit more with the suspension attached. My quilt is made with water-resistant 800fp Activ-Dri Goose Down. The quilt hasn’t gotten damp, so I can’t speak for the effectiveness of the water-resistant down. It does, however, set my mind at ease when I’m camping in the fall & winter here in the Pacific Northwest. Included with the quilt is a compression sack sized to fit the underquilt. I’m not a fan of stuff sacks or compression sacks, so I haven’t used it in the field. Instead, I stuff my quilts loosely in the bottom of my backpack, inside of a pack-liner bag. The compression sack squishes down to 8”x8”x9”, according to the JRB webstore. I haven’t measured it myself. Bridge hammocks are largely lauded to be the most comfortable backpacking hammocks on the market, and up to this point, I haven’t had a chance to use one. Until I used the BMBH Deluxe, I had arbitrarily concluded that the weight penalty of carrying a bulky hammock and spreader bars was far too great. My typical backpacking base-weight is hardly above 6 pounds, and the complete setup I received from JRB weighs in at nearly six pounds on its own. After a night in the Bear Mountain Bridge Hammock, I was ruined for regular backpacking hammocks forever. The initial setup was a bit tricky. I didn’t realize how much sag was necessary for the installation of the spreader bars and struggled for a solid fifteen minutes trying to force the spreader bars into place, loosening the suspension a bit more each time. Each subsequent setup went much more smoothly, but that first attempt was a struggle. As for the suspension, I was a bit underwhelmed by its clunkiness and weight. I feel that this is the only major gripe I have with the hammock. Attaching the suspension required some assistance from the Jacks, and I had some trouble the first time I pitched it. Figuring out how to properly wrap the straps around the tree took some trial-and-error and a bit of cursing. In my opinion, a set of clear instructions or a video would help out immensely. Once I figured out how to set up the hammock, I was totally impressed by how comfortable it is. I sleep on my side, and sometimes struggle to find a comfortable position in my usual hammock setup; I had no trouble at all getting comfortable in the BMBH. The bug net covers the top of the hammock completely and is kept taut by the tension of the spreader bars. Due to the shape of the hammock, the bugnet is relatively small and so doesn’t add much weight to the system. Unfortunately, the bugnet is not removable, so the weight is permanent. I prefer a hammock with a removable bugnet as I do a lot of winter backpacking where weight is at a premium and bugs are not a problem. I’d consider this a worthwhile trade-off for the comfort of the bridge hammock. The hammock is spacious inside, and has plenty of room for me to sit up. When I first pitched the hammock, I was a bit concerned that it would be constrictive and maybe a bit claustrophobic; fortunately, I was way off! In fact, I feel like I have more space inside the hammock than in my usual, gathered end hammock. There are small pockets at either end of the hammock for storage, which I used for my phone, light and other personal items. Overall, the Jacks know what they’re doing and do it very well. The quality of materials and design is top-notch, and the attention to detail is flawless. The stitching is well-done and seems very secure. Well-designed hangtags and instructions are attached to each of the products and make using them a cinch. I was particularly impressed with the pillow (it’s the little things!). 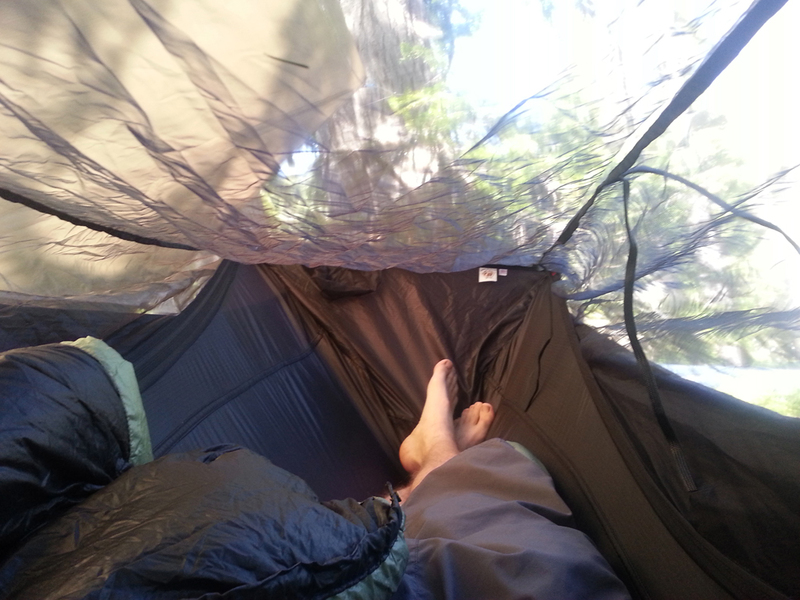 It works amazingly well in the hammock, wrapped in my midlayer jacket. The pillow hardly weighs a thing (under an ounce) and inflates quickly using a plastic straw. It consists of a plastic film with a soft exterior and a self-sealing opening for inflation. This is an awesome setup! I’m excited to continue using it. 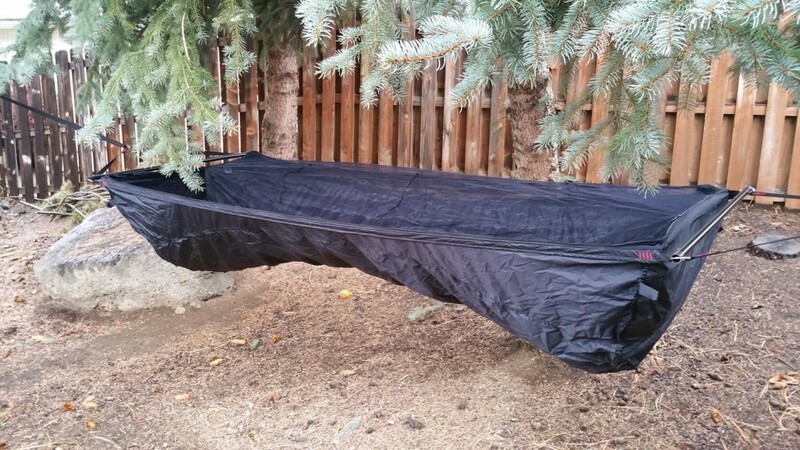 I would recommend it to users looking for a complete sleeping system designed for 3-season use, especially those who sleep on their sides or find a gathered-end hammock uncomfortable. A bridge hammock has always seemed like a ‘luxury item’ to me, but I now see how luxurious it really is. While the weight is certainly a penalty, I don’t see much of a difference between a user choosing to carry a Bear Mountain Bridge Hammock over a gathered end hammock and a user choosing to carry an insulated inflatable full-length sleeping pad over a foldable foam pad. Any questions or comments for Jesse feel free to leave your comments below. If you like the products Jacks R Better has to offer, please share this page with your friends or on the social networks to help spread the word for the cottage gear makers. Thank you for the support! Great article sir ! Well written and very concise. Great job !